There’s a whole lot to love about solar. For less than the price of a new car, you can enjoy reduced energy bills that will pay for your unit many times over in just a few years—and give your home some coveted green cred, too. But a solar energy system is only as efficient as the home it serves. What’s the use of installing new panels if your electricity is going to fuel an inefficient AC unit or be sucked out the window by leaks in the seals? The goods news, however, is this: when you start to see the savings piling up from a new solar system, you’ll probably want to rearrange some things in your home so you can save even more. Sound familiar? Here are the best projects you can combine with a solar installation for a home that’s more efficient than you ever dreamed. When you start getting serious about solar, one of the first things your sales specialist will ask about is the age of your roof. 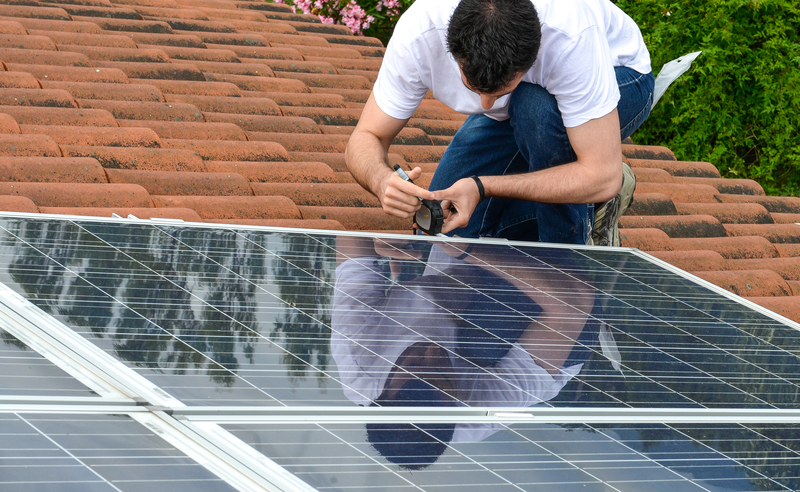 Solar equipment generally lasts for upwards of 25 years or more, while a roof typically needs to be replaced every 10 to 15 years. So if yours is on its last legs, it’s a good idea to fix it before you throw a bunch of delicate equipment over it. It’s not impossible to remove solar equipment temporarily during a reroof—if it was, no one would ever buy panels!—but it does require some additional planning. For instance, you’ll usually need to call your original installer and have them disconnect the system and schedule a reinstallation when the new roof is done. You’ll also have to find somewhere safe to store the equipment during the roofing project. In order to avoid hassles like this, most solar professionals recommend that homeowners with aging roofs have them replaced before they opt for solar. Of course, you don’t have to put your installation on your roof if you don’t want to—in fact, that might not even be the best place for your setup. Your solar production is affected by the pitch of your roof, the orientation of your home, and even by environmental factors like shade. For these reasons, some homeowners choose to install solar panels on a garage or shed roof, a freestanding pergola, or even as a ground-mounted installation that sits on the soil. There’s lots of ways to do it without getting your home’s roofing involved. What good is solar power if your outdated appliances are hogging it all? As a complement to your installation, most solar providers recommend energy-saving home improvements to make sure your energy stretches as far as it possibly can. In fact, some companies even offer a free energy audit to help you see where your resources are going and identify problem areas around the home. 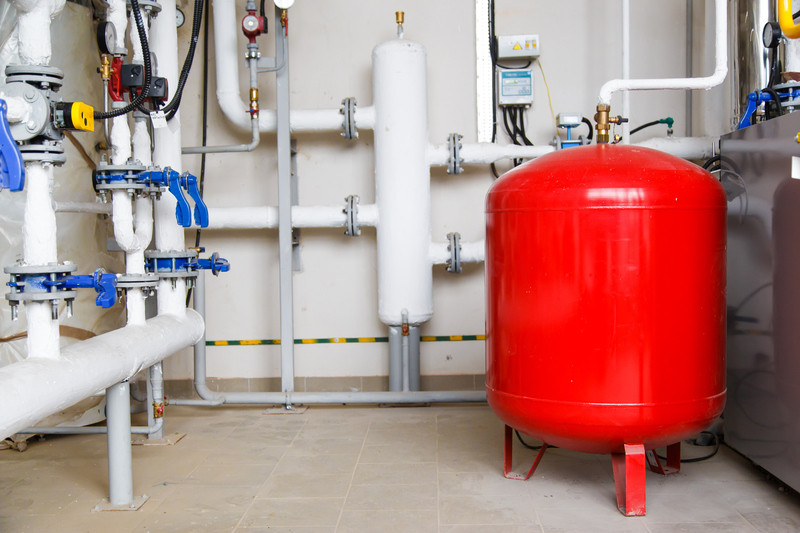 One common recommendation is to replace old, inefficient heating and air conditioning equipment. The Department of Energy estimates that your home’s HVAC makes up over 50 percent of your annual energy expenditures, so any amount you can cut back here can save a lot. In particular, in the past 10 years, efficiencies in air conditioners have allowed these units to run much more smoothly than they used to. In fact, your average unit today uses around 4,290 less watts per hour than it did in the 90s. Even if your AC is fresh off the factory floor, though, you can still save additional heating and cooling dollars by purchasing and installing an automated thermostat—and having a professional check your ducts for leaks that could be wasting electricity. The less energy you can use in your home, the more you can potentially earn back in credits from your utility company! Even a brand-new unit won’t fix a leaky home, though. Cracks around your windows and doors, exits in your walls and roof for pipes, wiring and vents, gaps in your chimney—they can all allow drafts to enter your home in the winter, or conditioned air to seep out during the summer. Drafts around windows are usually pretty noticeable, but the ones coming from your attic may be a little bit tougher to pinpoint. An HVAC professional or energy auditor can perform what’s known as a “blower door test” to locate leaks. During this test, they’ll use a specialized machine with an industrial fan that measures the air pressure in your home. In this way, they can rate the air tightness of your home’s walls and find the areas in need of attention. If your windows or doors could use some TLC, it’s easy to doctor the gaps on your own. Use some silicone caulk and a putty knife to replace old, cracked window seals and foam tape on the moving parts around the window and door. It’s a simple DIY project that could save you lots of dough! Air sealing and improved insulation go together like two peas in a pod—and both make a huge difference when you’re trying to get the most out of solar. It’s pretty difficult to re-insulate wall cavities without major demolition, so homeowners usually skip over these areas and head straight to their attics, which can often use a little help in the insulation department. In fact, many homes contain absolutely no insulation on the attic floor, since this used to be pretty standard practice among building professionals. Unfortunately, that means that heating and cooling can seep through your floor boards into your unconditioned attic, making your HVAC unit work much harder than it needs to. To help regulate your heating and air conditioning consumption, though, you should have about 10 to 14 inches of insulation between the floor joists, depending on your area’s climate. You can DIY attic insulation, but most homeowners choose to hire a professional, which costs between $900 to $1800 on average, depending on the size of your home and the type and thickness of insulation you choose. A commitment to renewable energy is an ongoing process, so don’t feel like you need to make all these changes at once. However, after you see the savings from new solar panels, you may just become an energy-efficiency addict!